The compact 2019 Cherokee gets a refresh for the first time since returning to the Jeep lineup as a 2014 model following its 12-year hiatus. 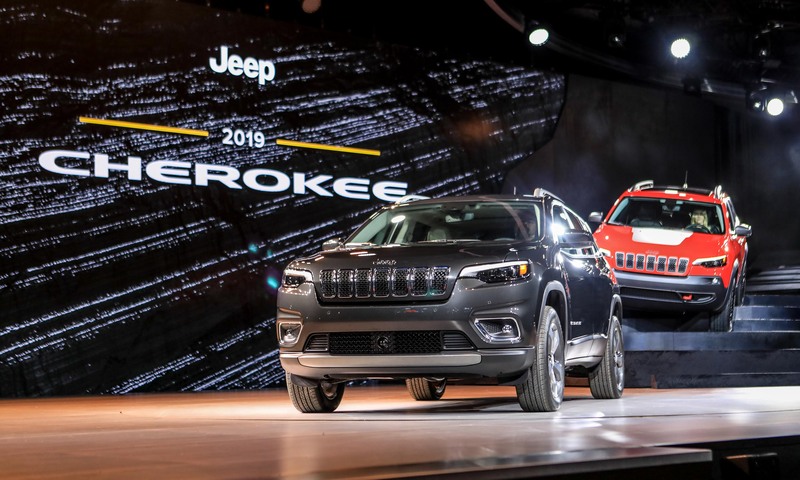 The new design brings Cherokee exterior styling more in line with the traditional look of other Jeep models, as well as upgrading the interior and increasing cargo volume. 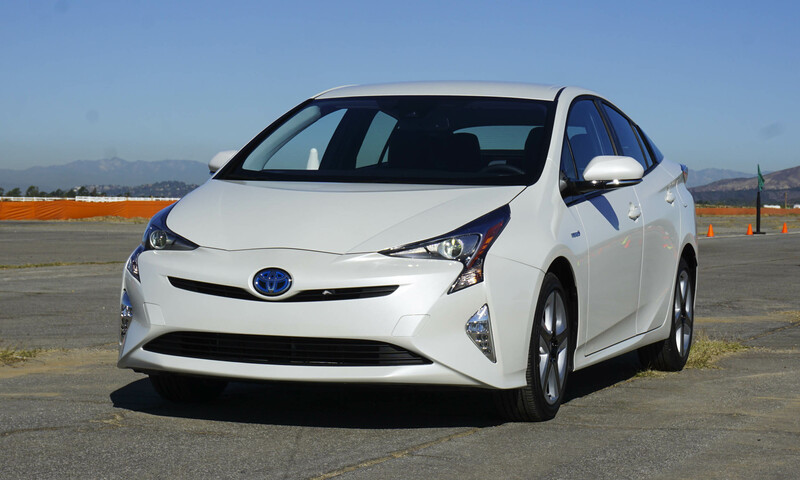 A new 2.0-liter turbocharged engine is added and a lightweight hands-free power liftgate is now available. 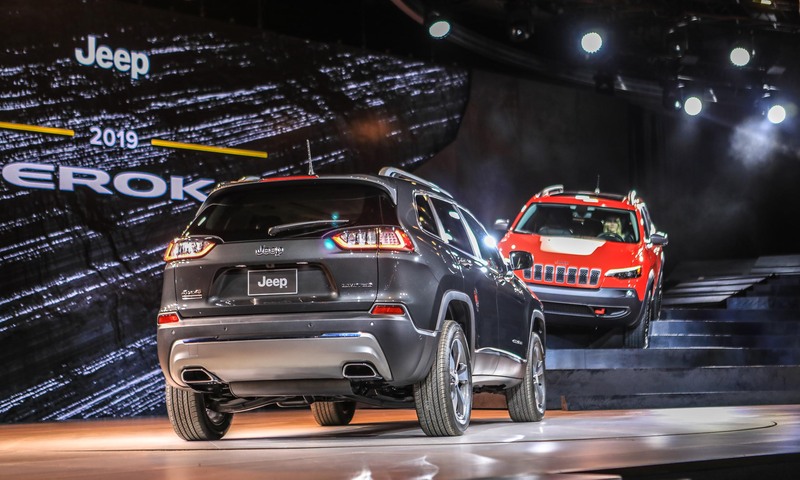 At the front, the 2019 Jeep Cherokee is more vertical, sporting a new fascia, a lightweight aluminum hood, a signature 7-slot grille and new headlight units positioned higher to the sides of the grille, which allows them to flow back into the fenders. 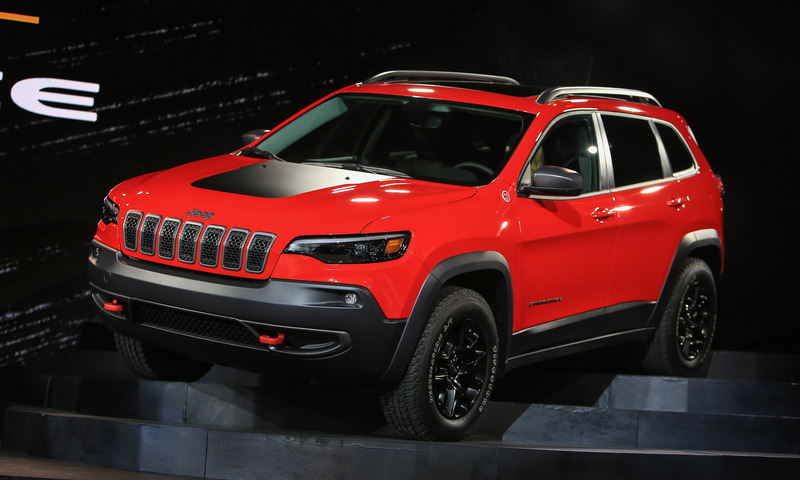 The 2014 Cherokee design stood out from the crowd in a very competitive compact crossover segment, but it was also somewhat polarizing. 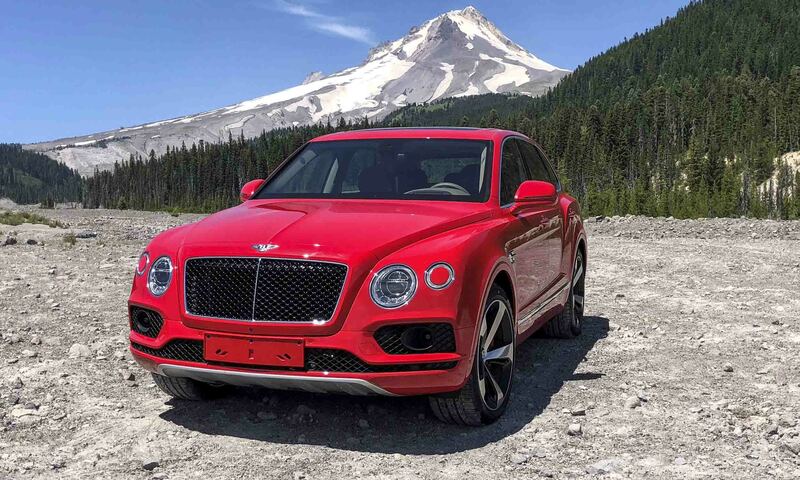 This 2019 model moves to a more familiar Jeep look, retaining the upper accent lights above the new headlight position, but as part of the same headlight unit as the Bi-LED projector lights. At the rear, the 2019 Cherokee features a new reshaped lightweight composite liftgate with the license plate moved up to the center and a new lower treatment. 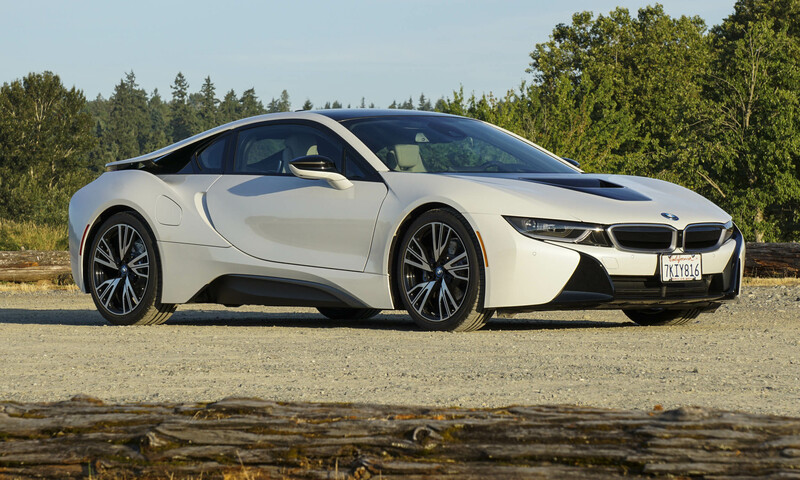 The reshaped taillights include a thin LED light strip that highlights the individual stop, turn and reverse lights. 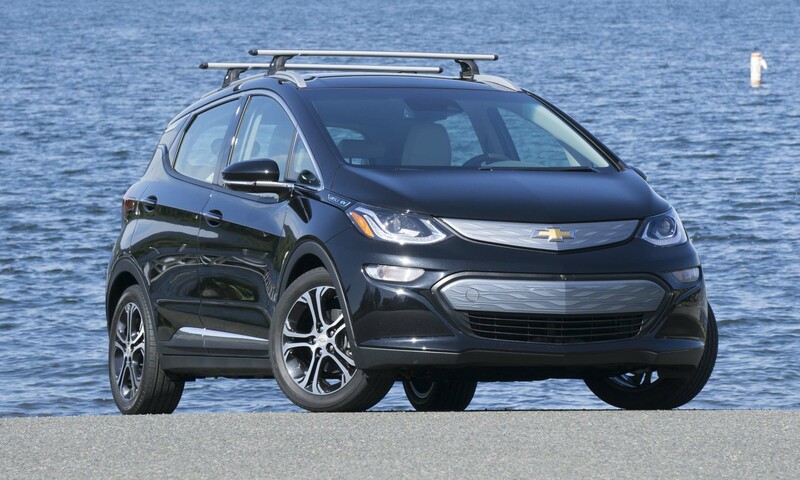 The liftgate’s release handle is positioned higher above the license plate for easier use, and it also incorporates an optional hands-free open, activated by a kicking motion under the rear bumper. 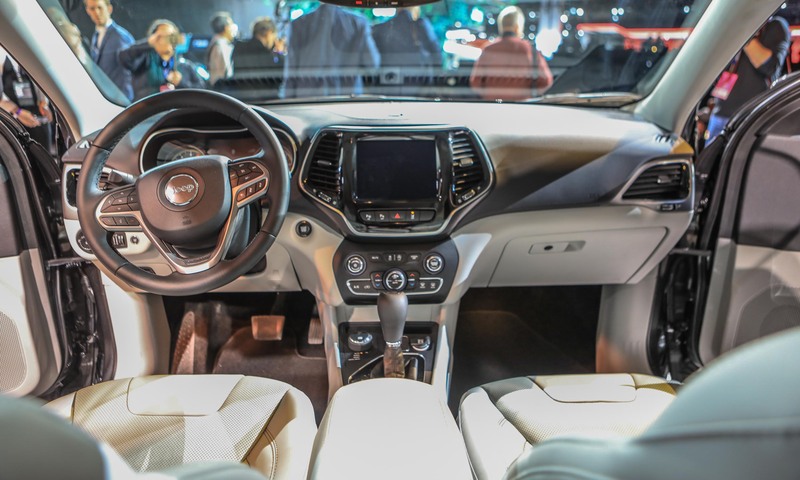 Inside, the new Jeep Cherokee builds on the previous model with subtle changes to lines and contours, with more premium materials improving quality and comfort. Interior trim includes Piano Black and Satin Chrome accents. 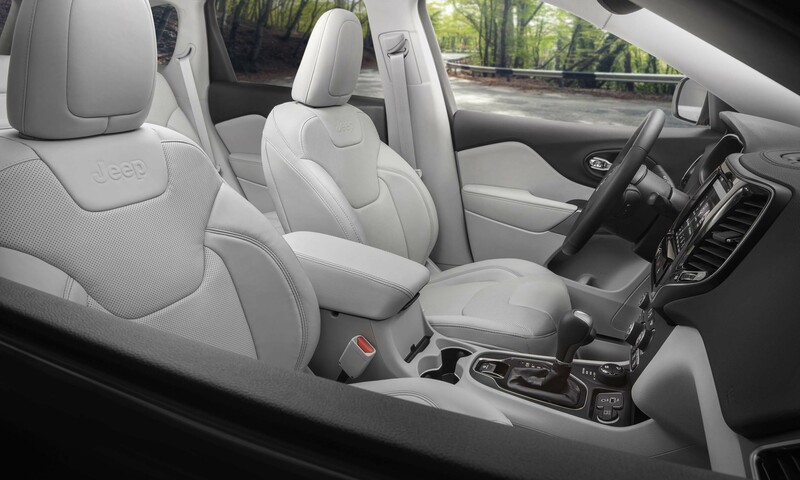 Soft-touch materials accentuate the door panels, and lighter colors on lower panels match seat colors. The standard Uconnect touchscreen increases to 7 inches and the optional Uconnect screen is 8.4-inches with Off-Road packages. 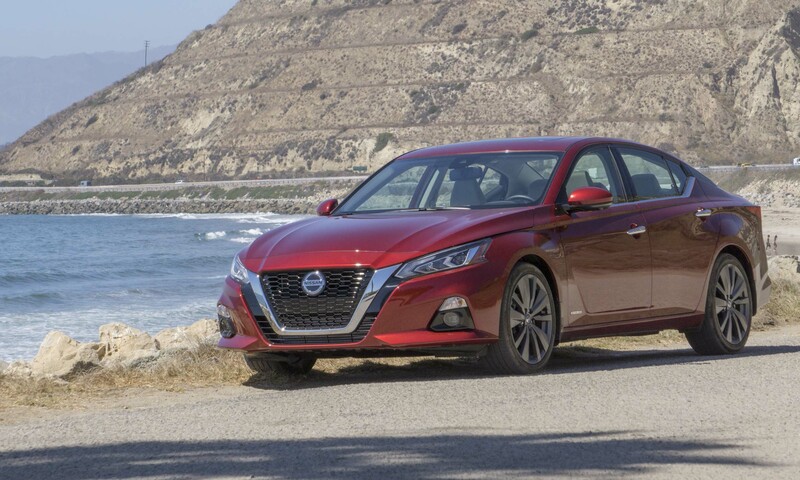 The center console has been reshaped to increase storage space in front of the shifter, and the rear cargo area has been widened by 3 inches with total cargo capacity increased to 27 feet. The Jeep Cherokee gets two new color choices for the 2019 model year: Storm Blue for Latitude and Latitude Plus trim levels, and Dark Sienna for the Cherokee Overland. The Storm Blue interior is inspired by dark volcanos and black ash contrasted against the blue skies of Iceland, including black seats with Storm Blue stitching. The Dark Sienna interior is said to be inspired by the earth’s clay and Jeep’s off-road capability. The 2019 Jeep Cherokee is offered in five trim levels: Latitude Base, Latitude Plus, Trailhawk, Limited and Overland. 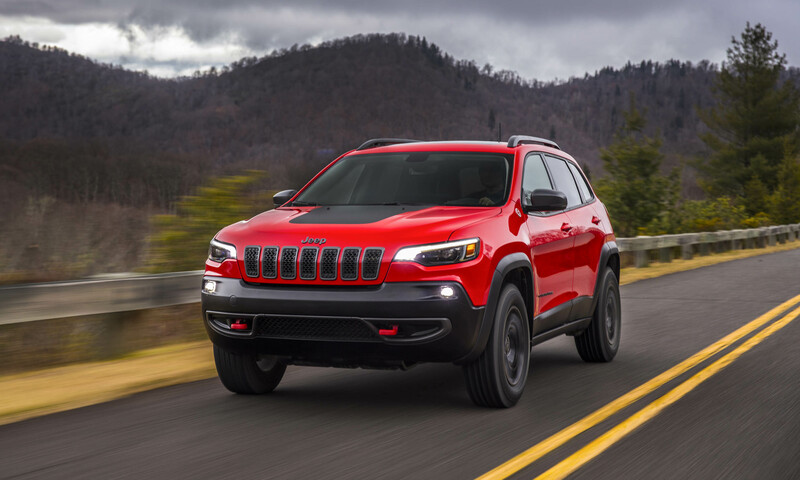 Cherokee Trailhawk adds options and equipment to be the most off-road-capable version, while the Limited and Overland add features for more luxury and refinement. 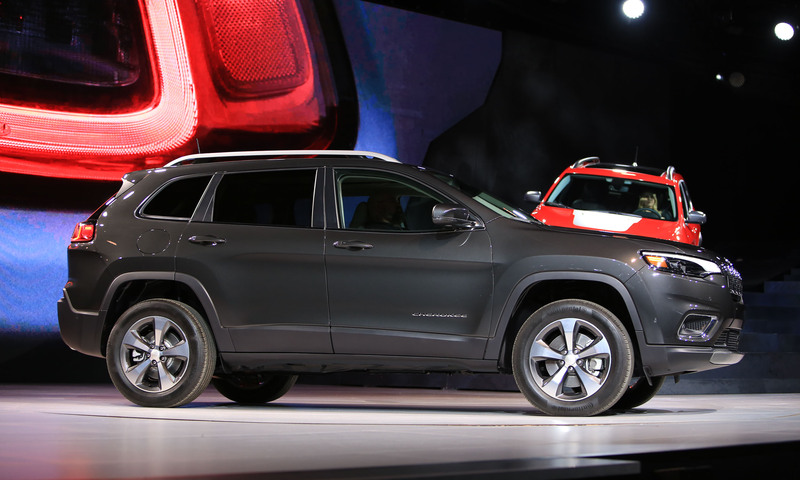 Trailhawk includes a more aggressive front fascia, improved approach angle, anti-glare hood decal, standard red tow hooks, steel skidplates, higher fender flares, a higher ride height and 17-inch off-road tires. Cherokee offers an all-new direct-injection turbocharged inline 4-cylinder engine that produces 270 horsepower and 295 lb-ft of torque with engine start-stop technology. 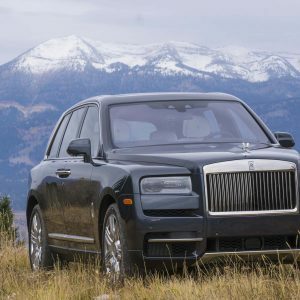 Also available is a 3.2-liter Pentastar V6 that produces 271 horsepower and 239 lb-ft of torque, as well as a 2.4-liter Tigershark MultiAir2 four cylinder that produces 180 horsepower and 170 lb-ft of torque. 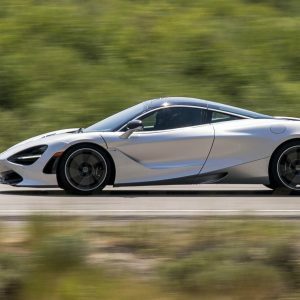 A new 9-speed automatic transmission is standard with all three engines and tuned to match the performance of the turbocharged 2.0-liter. Towing capacity with the 3.2-liter Pentastar is 4,500 pounds. 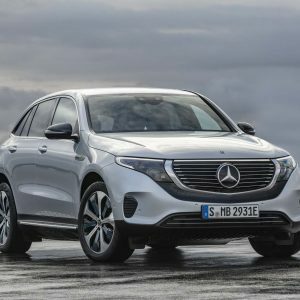 Three different 4-wheel-drive systems are offered for the 2019 model year, beginning with Jeep Active Drive I with a next-generation rear-drive module that is lighter and disconnects when power to the rear wheels is not needed. Jeep Active Drive II includes a 2-speed Power Transfer Unit and low-range gearing. 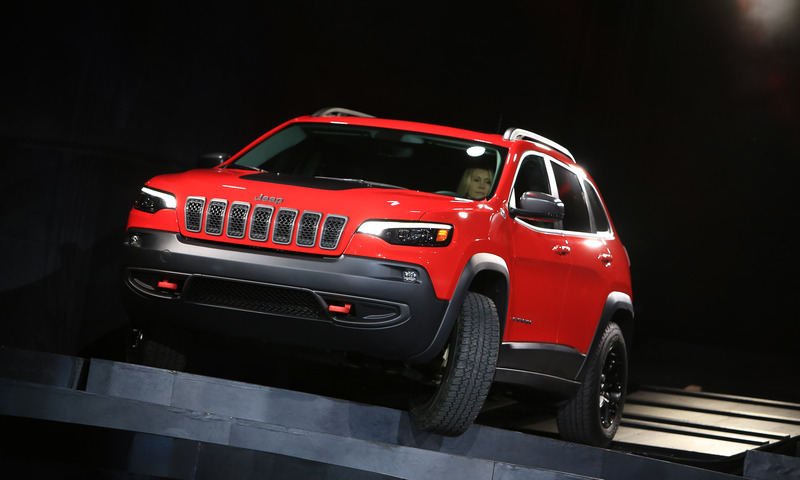 Standard on Cherokee Trailhawk is Jeep Active Drive Lock with a 2-speed PTU and a locking rear differential. All 4-wheel-drive systems include Jeep’s Select-Terrain traction control system, which allows the driver to choose between five drive modes.